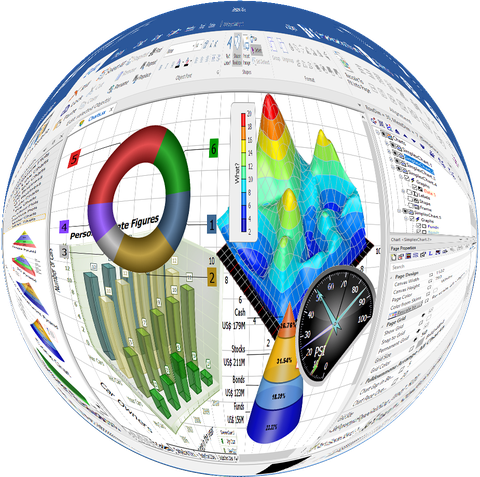 SimplexNumerica has been designed to make complicated numerical math, applied to big data analysis, in conjunction with an outstanding chart library, very simple. The evaluation of your measurement data will be getting simplified, enormously. By the way: You can switch between English and German during runtime. Now, V15 is so called DPI-aware (looks great on 4k Monitors and Hi-Res. Laptops). Download and view the Documentation here! 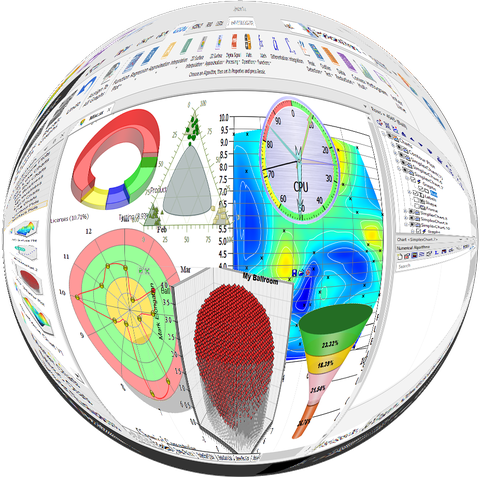 SimplexNumerica is a comprehensive and powerful application that can be used in order to analyze data, 2D and 3D plotting, make complex calculations and develop programs in the C++ scripting language. 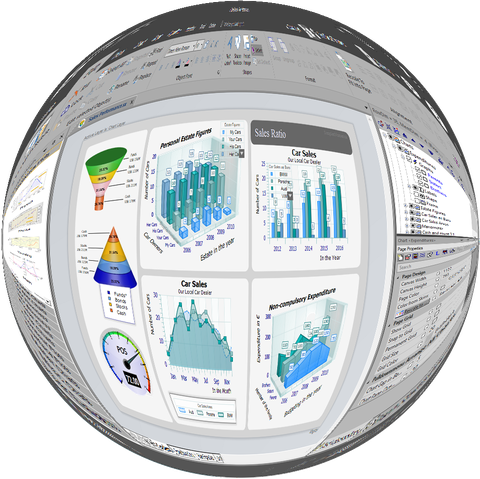 The GUI you are met with has a state-of-the-art Microsoft Office 2016 design with a lot of skins which you can use. You should know that the comprehensive and well-drawn documentation plus multiple examples at your fingertips and many supported extensions might aid beginners in finding their way around SimplexNumerica. First and foremost, you should know that this program comes packed with a pretty large number of sample scripts and examples for many of its options, including function plots, graph plots, math functions, histograms and IIR filters. These enable you to learn how to get around the tool much faster. Data can be imported from formats such as CSV, XLS, XLSX, DBF, MDB and multiple server databases, while export is available only using CSV and XLS extensions. Projects can be saved to a custom location as a SXW and SX files, so that you work on them at a later date. It is possible to build multiple types of plots and charts (e.g. 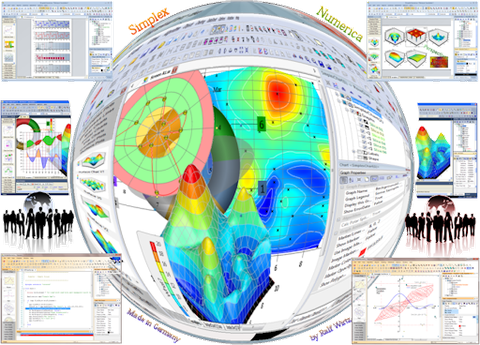 science plots, bar charts, pie charts, contour plots, meter charts etc. ), as well as view all the items it contains and its properties in dedicated panes. A wide range of algorithms can be accessed, including interpolation, approximation, function plot, data reduction, outlier test and math operations and functions. When it comes to C++ scripting, you should know that it is possible to work with CPP files, add bookmarks and toggle them, insert and remove breakpoints, enable outlining and line numbers so that you can keep better track of what you write, as well as run, compile and debug your code. The system’s performance might be affected from time to time by SimplexNumerica, yet this is to be expected seeing how complex the app is. The response time is good and we did not come across any issues such as bugs, hangs or freezes. Taking all of this into consideration, it is safe to say that this piece of software is useful and efficient, and comprises a long list of options which can keep you busy for quite a while. The interface is now extremely intuitive, yet it compensates with the tutorials and other related documentation it comprises, too.